Installation of the film scanner Epson FilmScan 200 scsi under Windows 2000/XP. This scanner is not very new but can render service well... the problem is that the manufacturer "forgot" to make evolve/move his drivers of this scanner. 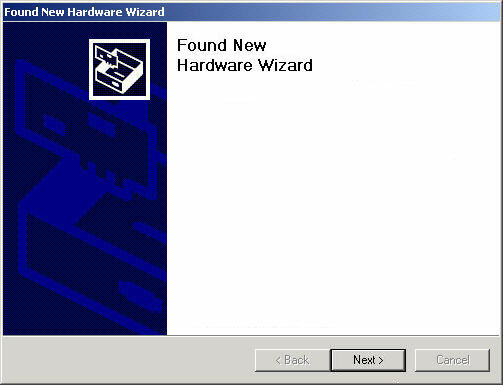 After some research and tests, I ended up succeeding in installing this scanner under Windows 2000. I did not make the test under XP, but there is relatively little difference between these two systems, we can consider his operation possible. Installation of the drivers of the scanner. Initially, it is necessary that Windows "sees" the scanner and recognizes it. For that, it is necessary to install a driver, but Epson has not developed it, I used the pilot of the scanner GT 7000 S of the same mark. 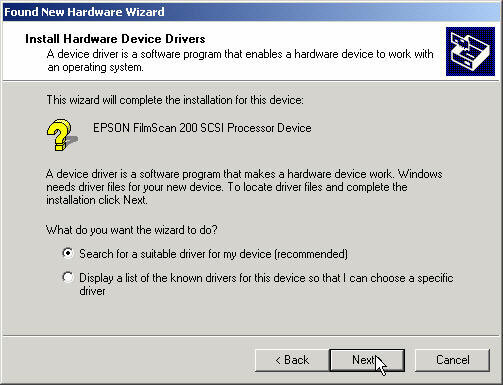 We will downloadthis driver on the manufacturer web site, called Twain-Windows2000. Twain-Windows2000 http://www.epson.fr Rubrique "Téléchargement / Pilotes"
After we have this page where we will be able to download driver EPSON TWAIN for Windows 2000. Expand the downloaded file (twainw2000.exe). The files are expand on this directory : \Twain-Windows2000. Then, download the following file : ESCANFB.INF which you will place in the directory previously described. Concretely, I made a small modification to force Windows to accept the driver which is not, initially, planned for this scanner. But it functions ! Then, right click of the mouse > Properties. It will be noted that Windows will name scanner "EPSON GT-7000". 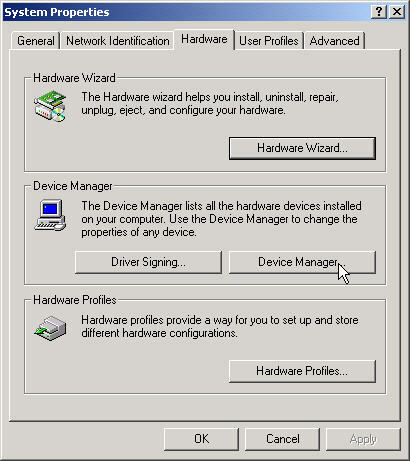 To finish the first stage, we check in the Device Manager that the scanner is well here ! FilmScan 200 appears well under the name of "EPSON GT-7000". To be able to use the scanner, it is necessary to install the excellent Vuescan software. Here the address of the site where we can download the demonstration version to make the tests: http://www.hamrick.com . For information, the installation of the scanner under Windows XP can be done with the drivers of scanners GT8500 and GT9500. I can not check, because I have not XP. Download the tutorial ( 394 ko) : Download 6878 times.